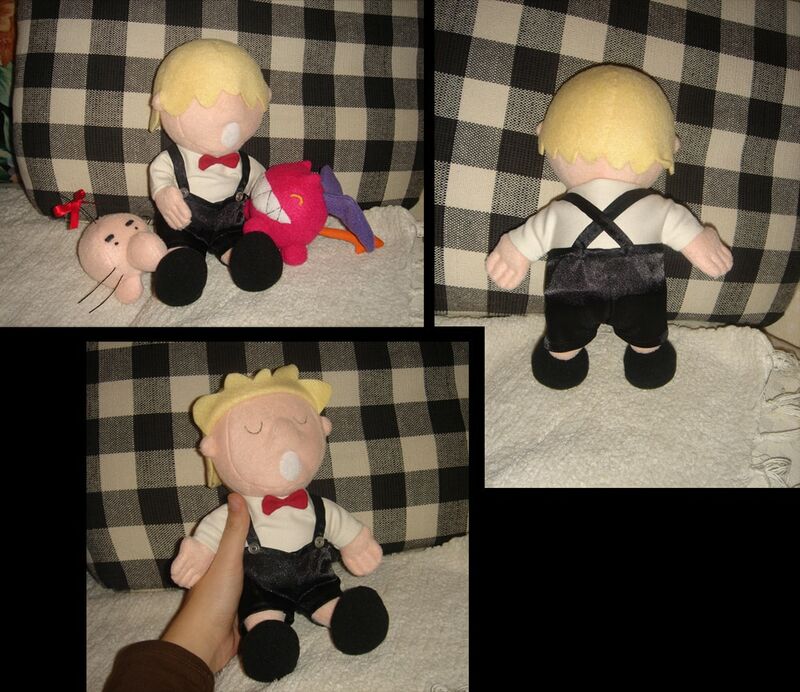 As we’ve seen in the past, eyes5 is a very prolific EarthBound fan creation creator person thing, especially in the field of homemade plushie making. Here is her latest creation, a Pokeybot Plushie! Hopefully it doesn’t explode when hit though! They almost look too cute! Is it wrong I’m starting to like Porky now? The fact that it’s being hugged by an Ultimate Chimera in that one picture makes it even cuter, too. It looks so cute with the baby Chimera and Mr.saturn! ness123: You got the 15,000th comment on this site hurray! it looks very cute i would like to make one but it looks hard. I need this! so I can give him much love, so he doesn’t grow to be evil. You can flip it’s hair up!? Is it just me, or is Porky flipping his hair back in the 3rd pic like a shampoo commercial, and saying “ahhh”..?